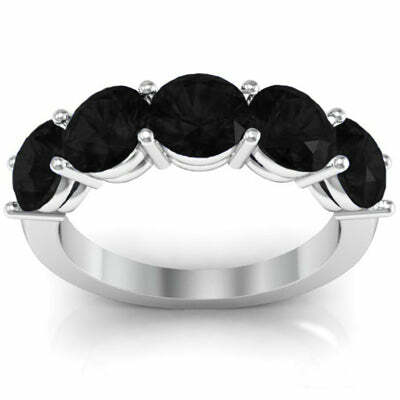 In this blog I will be writing about a few different types of black diamond jewelry that we offer. 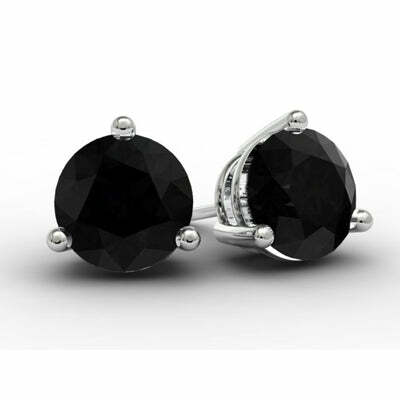 A lot of people think black diamonds are very expensive and they are actually quite affordable. You will be shocked at the fantastic prices. Look at this beautiful black diamond eternity ring. 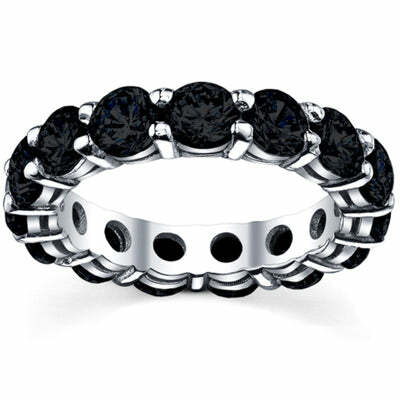 This black diamond eternity ring has approximately 5.00 carat total weight of diamonds in a shared prong setting. This 5 stone black diamond ring has a total carat weight of 3.00. Each black diamond weighs approximately 0.60 carat. We manufacture this ring in as small as 0.50 carat total weight and up to 3.00 carat total weight. With black diamond studs, we make sets that features as small as 3mm stones, which would be approximately 0.20 carat total weight. Our largest studs features 7mm stones, which weigh approximately 2.50 carat total weight. 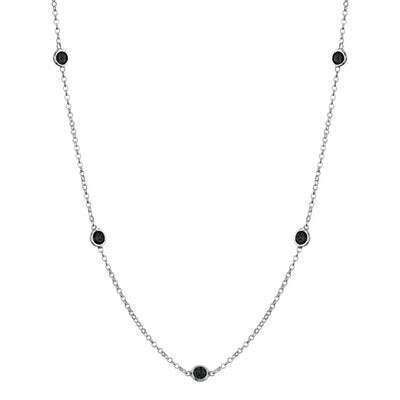 This black diamond station necklace comes in many different carat total weights. My favorite carat total weight is the 1.00. All the pieces I picked were the largest carat total weight that we offer on the site. These pieces can be manufactured in any carat total weight that your heart desires. If you are looking for a particular design with black diamonds let us help you.